Ours is a working board of volunteers dedicated to pursuing what CAN be. Chair: David Bayersdorfer. David taught history and political science at HVRHS for 41 years. He serves on several other boards including the Salisbury Board of Ed, Salisbury Association and St. John's Episcopal Church. Vice Chair: Ann Beizer. Ann is retired from Worcester Polytechnic Institute (WPI). She is a member of Salisbury Rotary Club and St. John's Episcopal Church where her husband is Associate Priest. Secretary: Carol D. Schulz. Carol taught history, English and language arts in several school across CT (including HVRHS) and Vermont. Carol is also an author of several books on human rights. Treasurer: Vance Cannon. Vance is a Western CT State University alumnus with an MA in media studies from The New School. He has taught at Housatonic since 2003, in the English department and currently as library media specialist. He serves on HVRHS Tech Committee and as an AFS advisor as well as the NW CT Cable Advisory Council. Claudia E. Cayne: Claudia is the Director of Scoville Memorial Library in Salisbury. Previously, she was the Director of Roxbury’s Minor Memorial Library and head of the Children’s Department at the Monroe Pubic Library. Claudia has an MLS and an undergraduate degree in 20th Century Art and Literature. John V. H. Dippel: John has been active in local school districts for many years. He's served on committees dealing with gifted students, foreign language and community relations. He heads a program that sends English teachers to Vietnam. John Hedbavny: John served as Associate Dean at Springfield College (MA), taught in the College’s Department of Recreation and directed the College’s day camp. After serving as Executive Director of a 500-acre YMCA camp in PA, and an interim position with the YMCA of the USA, he was appointed Executive Director for Camp Sloane YMCA in Lakeville. After retiring in 2006, he took a position with the International YMCA in NYC for 4 years, and retired again in 2011. His local involvements include the Salisbury Rotary Club, singing with the HousaTonics (current President), and with Lakeville United Method Church (Trustee). Michael Mahoney: The son of 21st Century Fund founder, Jack Mahoney, Michael is a graduate of HVRHS, NWCCC and Guilford College, with a degree in Sport Management. Currently a Senior Sales Representative for Musco Sports Lighting, he also serves on the board of the Region One Athletic Fund. Danella Schiffer, Ph.D: Danella, an Industrial/Organizational Psychologist, helps organizations strengthen their human assets. A special interest is helping young people transition from school to the world of work. She also serves on Salisbury's P&Z Commission. Thomas Schindler, Ph.D: Tom is a microbiologist who changed careers to become a high school science teacher. After retiring from HVRHS, he went on to develop his voice and writing skills. He also serves on the Crescendo Board. 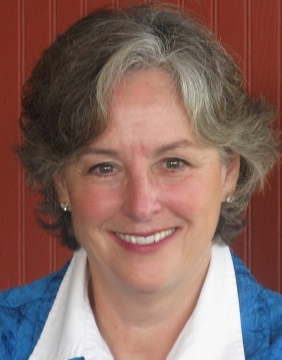 Roberta Willis: Roberta served eighth terms as State Representative in the CT General Assembly. She sat on the Appropriations and Environment Committees; was chair of Higher Education & Employment Advancement Committee. John F. Perotti: John graduated from HVRHS in 1964. He was on the original board of the 21st Century Fund and served as its Chair for years. He is the retired Chairman and CEO of the Salisbury Bank and Trust. Lynn Nania: Lynn served on the 21st Century Fund Board for almost twenty years and for most of the time she served as the Fund's treasurer. She remains an invaluable resource and active supporter of the Fund. Program and Outreach Director: Nancy Hegy Martin: Nancy moved from Manhattan to Sharon in 1998 after an administrative career in Direct Marketing and Mail Order Catalogs. Locally, she has worked for Salisbury School, Berkshire Taconic, SOAR and HVRHS. Together we can change lives! Your support matters. The 21st Century Fund for HVRHS, PO Box 132, Falls Village, CT 06031 or 860-824-5123 X 415, is an independent 501(C)3.